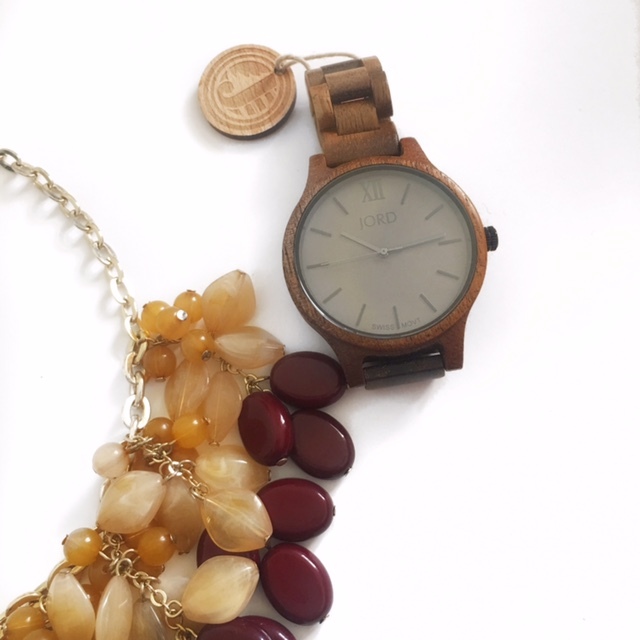 Last month, I was asked to review a beautiful timepiece from Jord Wood Watches. Now, of course, I was super excited because 1. 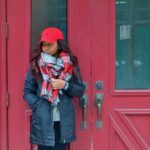 I love watches and fashion accessories and 2. this is my very first sponsored post. 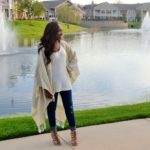 I’m beyond honored for my first sponsored post to feature such an amazing and steadily growing brand. 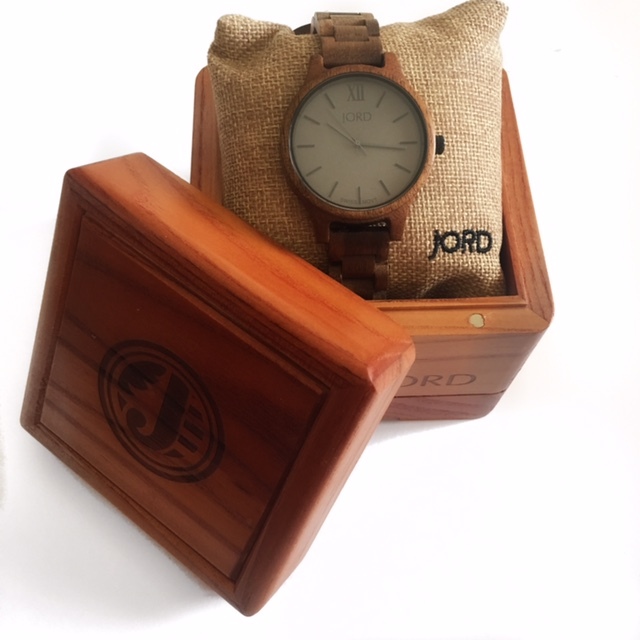 Now, I want to let you all know that I’ve partnered with Jord Wood Watches to provide you all with something special. 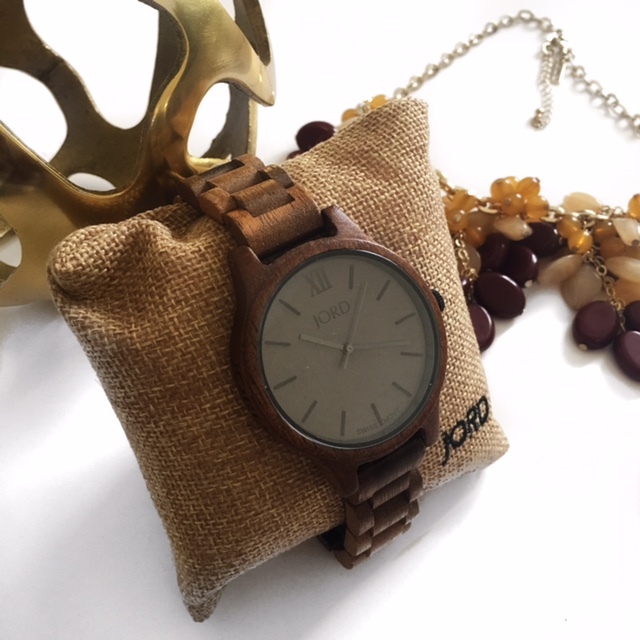 Click HERE to instantly be emailed a $25 e-gift code to use towards your very own Jord Wood Watch. Hurry! The giveaway will close 12/18/2016! Ok, now let’s talk about my new watch! So, I was allowed to pick from a few different watches. My choices included both women’s watches and men’s watches. 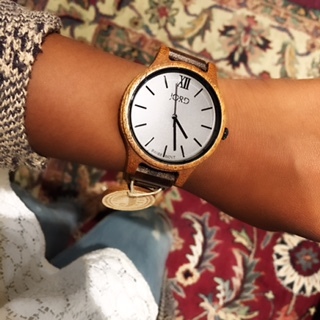 I chose the Koa and Ash watch from the Frankie series because it wasn’t too small and wasn’t too big. Also, the “ash” face seemed like more of an everyday option to wear. The watch was also sized for me prior to delivery. Typically, I switch back and forth between the same two watches. However, my new Jord wood watch has given me an awesome everyday option to wear. This unique watch is truly one-of-a-kind. 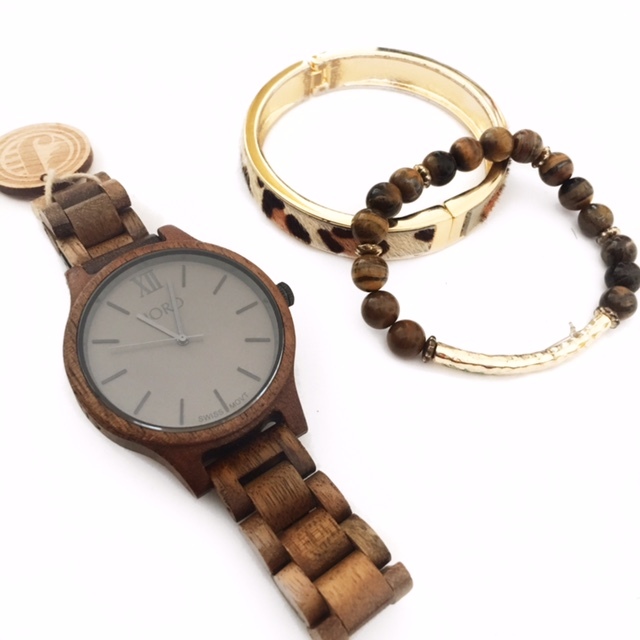 The coolest thing about these cool watches is that they are all made from natural wood. The materials range from Maple, Bamboo, Rosewood, Walnut, etc. In my opinion, the quality and craftsmanship of these watches is unmatched. 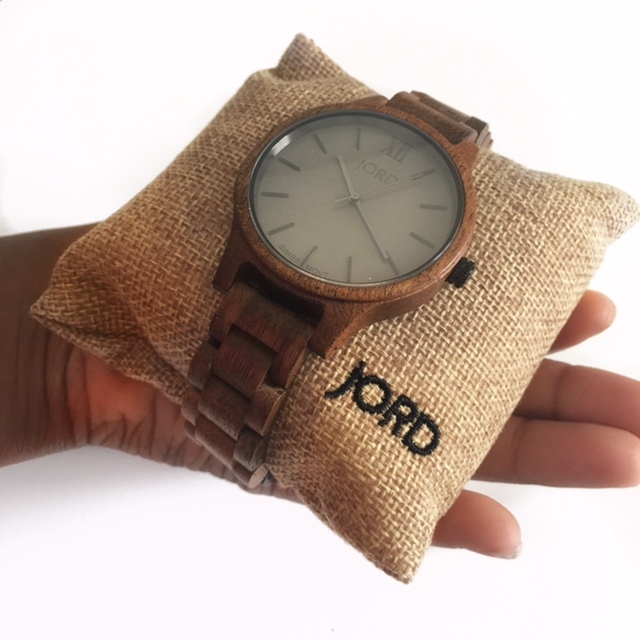 Jord makes both women’s watches and men’s watches which include various movements. Click here to see the mechanics of these watches. 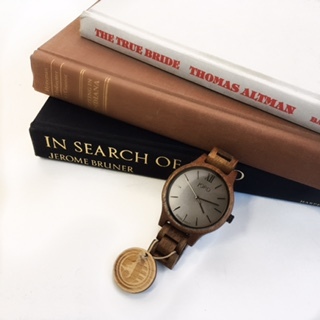 The Koa and Ash watch features a slim case and is powered by a Swiss movement. The watch is very simple, yet sleek and stylish. The wood is Koa and the face is Ash. 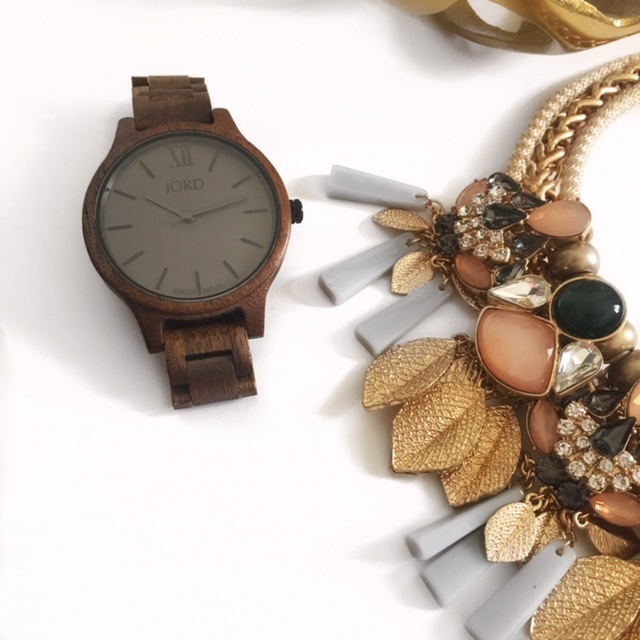 My Jord Wood Watch features a sapphire crystal glass face. The band is 18 mm thick and the case is 10.5 mm thick. 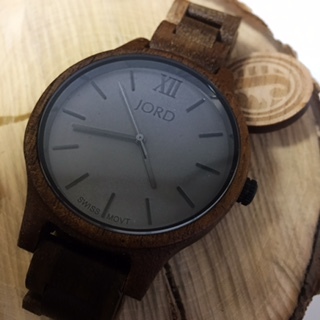 The wood of this Jord watch was hand finishes and pretreated with tung oils. This watch should not be submerged in water. Jord recommends using lemon or orange oil extract for best cleaning of the natural wood. Jord offers a 1-year warranty. 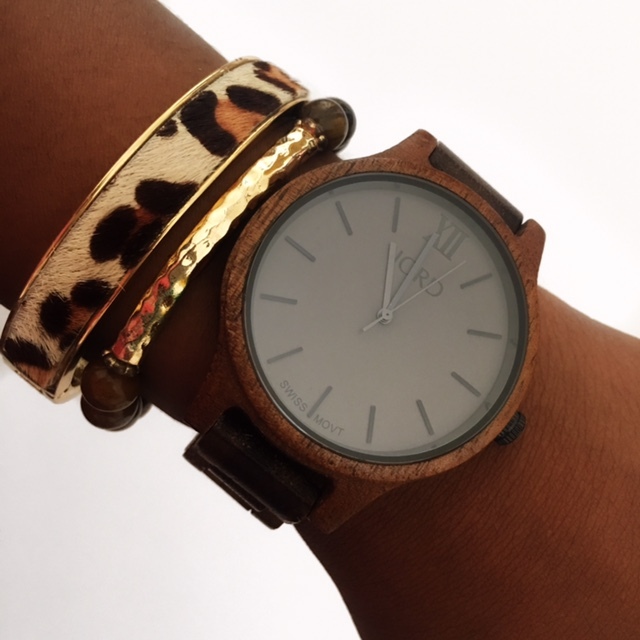 So, I would definitely recommend a Jord Wood Watch as your next watch purchase. Did I mention that the company is located right in St. Louis?! I just love being able to work with and represent local companies and see them grow. Jord is definitely on the right path. Their watches are the perfect option for both men and women. I say, if you’re gonna spend hundreds of dollars on a watch, spend it on something that is natural and unique in its own right. Alright, folks. Until next time, make sure you click THIS LINK to get your $25 e-gift code! Happy shopping!